The Los Angeles Chargers come up north for an AFC West matchup against the Oakland Raiders on Sunday. The Chargers were able to score their first win of the season on Sunday with a road win over the New York Giants, 27-22. They look to make it two in a row on the road against the suddenly-sideways Raiders. On Sunday, Oakland lost at home, 30-17, the Ravens, playing without Derek Carr. With three losses in a row, things are getting away from Oakland and they hope to come up with something against their old division rivals this week at home. Word is they should have Carr back in time for this matchup. The Raiders have definitely been hurt by injuries. A lot of teams can patch it together well without their starting QB, but the Raiders are not one of them, at least based on the end of last season and how they've done without Carr so far this season. They are also dealing with a banged-up secondary, with injuries to the offense also hurting. Their ability to stop the run has been waning and key contributors on offense have disappeared. This is really a big week, with there being a big difference between being 3-3 and 2-4. And a loss to the last-place Chargers would just be bad for team-morale. You can do a lot worse than EJ Manuel as a backup. But with all respect to him, they need Carr back in there to be viable. It would also help if other guys became more impactful. Marshawn Lynch had a TD on Sunday, but his performance through 5 games since returning to his hometown team has been lukewarm. Michael Crabtree continues to be productive, but Amari Cooper has been bizarrely quiet over the last three games. And an O-line that was getting a lot of push in the first few weeks of the season has been less effective in recent weeks. The Oakland defense is dicey right now. The secondary is OK at full-health perhaps, but they don't have the depth or excellence to withstand injuries, which is what they have been forced to withstand. Khalil Mack is the undisputed leader of this defense, but he can't do it all alone. At their best, they are porous, but at least clutch and they save their best for the end of the game. But they are under-performing as of late, especially up-front, where guys like Mario Edwards, Eddie Vanderdoes, and others not really pulling their weight. They aren't the type of defense that thrive unless the offense is doing most of the heavy lifting. When the offense struggles and leaves them to hang out to dry, they can be pretty bad. And against a Ravens team that had scored a combined 16 points in their previous two games, they didn't look good at all. Hats off to the Chargers for their first win as they emerged victorious in their battle of the winless in East Rutherford. After failing to register a win in three straight games at home, they were able to get one 3000 miles away. Going back to last season, they had lost 9 in a row, so maybe the win will have an energizing affect. And the Chargers were able to do something they have seldom been able to do as of late, with a late touchdown locking up the win. The defense was good and applied a pass-rush and was generally aggressive. They are at least still playing hard, despite a very difficult start to the season. It's also important to keep in mind that while they are just 1-4, they could easily be 3-2 if they had nailed a couple makeable field goals earlier in the season. In other words, they're dangerous for a 1-4 bunch. On Sunday, Rivers threw three touchdowns, though he wasn't very accurate on just 21-for-44 passing with a pick. They got a big performance from Melvin Gordon, who ran for 105 yards, while also catching 6 balls, including two TD catches. Tight end Hunter Henry had the other TD catch, with Keenan Allen chipping in with 67 yards receiving. We saw rookie Austin Ekeler come out of nowhere with three catches. And the offensive line, often aligned, wasn't that bad, as they sprang a nice run-game, while keeping the sometimes-fierce Giants' pass-rush held to zero sacks. On Sunday, we saw a lot of the things we identified in the preseason about the Chargers' defense. Their secondary really isn't half-bad, even with key corner Jason Verrett again out of action indefinitely. On Sunday, S Tre Boston had a pick and seems reborn in this defense. Casey Hayward is a handful, as well, while Jaheel Addae was all over the field. The pass-rush can be a good one and Joey Bosa and Melvin Ingram both had two sacks. The pair are developing into a consistent tandem of dependable pass-rushers. Up-front, they could be better at stopping the opposing run-game, as they enter this game among the worst in the league. Even on Sunday, guys like Orleans Darkwa and rookie Wayne Gallman were successful in spots. It remains a major hindrance to an otherwise rising unit. One can sense the urgency of team that went 12-4 last season looking to avoid their fourth straight loss. The Raiders should be expected to play hard this week, but that reasoning could have been applied to their game against the Ravens and they fell well short. The difference could be Carr, as the offense is lost at sea without him. Once could expect a more on-point Oakland offense this week. But even down Chargers teams compete well in division settings and I see Rivers having enough success with this secondary to help the Bolts cover the spread in Oakland. 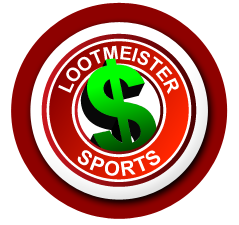 Loot's Prediction to Cover the Point Spread: I'm betting on the Los Angeles Chargers plus 4 points.